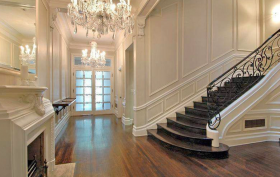 Carrie Bradshaw may not have been able to make her mind up about men, but Sarah Jessica Parker is more indecisive when it comes to real estate. 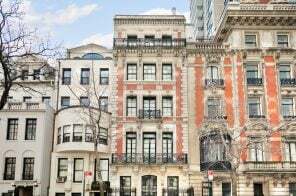 The actress and hubby Matthew Broderick sold their Greenwich Village townhouse for $20 million back in March, which came after quite a few price cuts and almost three years on the market. And just a couple of weeks ago, they were seen checking out the Shephard, a new condo conversion in the ‘hood. 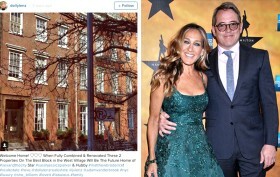 But it looks like SJP misses her townhouse, because broker-to-the-celebs Dolly Lenz shared an Instagram picture today, announcing that the couple is the buyer of two adjacent brick homes at 273 and 275 West 11th Street. Her caption implies that the power duo will combine the residences, which would result in a 50-foot-wide, 13,900-square-foot mega mansion, according to Curbed. 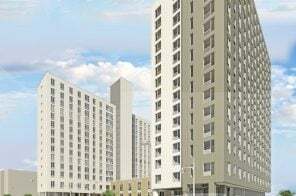 The properties were last listed for $35 million total. Is the Third Time a Charm for This $40M Penthouse with Glass Floors and a Seven-Car Garage? All it takes is one glance at this head-turner to see that it’s pretty special. 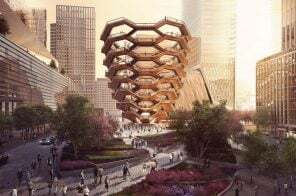 The 11,000-square-foot duplex features glass floors, floor-to-ceiling windows offering 360 degree views of the Hudson River and the city, and 5,200 square feet of outdoor space in the form of several terraces. The stunning penthouse has had a time of it on the market, first popping up in 2012 with an $80,000 a month price tag, and then reappearing in October 2014 asking $95,000 a month. Now it’s trying its hand at the sales market for $39.8 million. 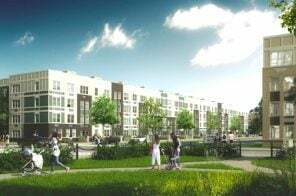 It’s a great market for townhomes. 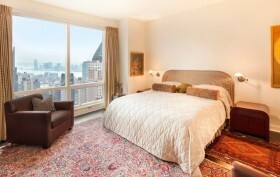 54 East 64th Street has been sold to designer Reed Krakoff and his wife Delphine for $28 million. This news is especially remarkable considering the townhouse’s history. 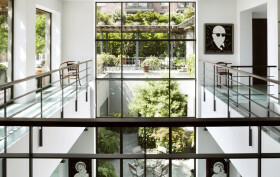 Formerly a Kips Bay Decorator Show House and a one-time home of the New York Observer, this Upper East Side gem was transformed into a luxurious home when it was purchased by real estate investor David Quinlan for $18.74 million back in 2005. After failing to turn the hefty profit he was hoping for, Quinlan sold the townhouse for $20 million in 2011. Last year it was placed back on the market for $20 million; however, broker Dolly Lenz changed that, upping the asking price to $28 million. They don’t call her a superbroker for nothing.